Now, becoming a happier, more confident wine drinker is easy. The first step is to forget all the useless, needlessly complicated stuff the "experts" have been telling you. 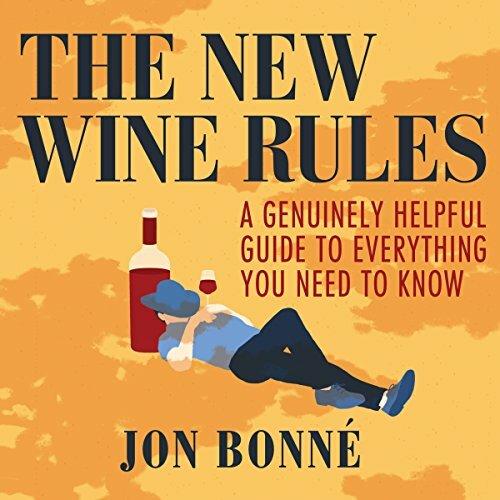 In The New Wine Rules, acclaimed wine writer Jon Bonné explains everything you need to know in simple, easy-to-digest tidbits. And the news is good! For example: A wine's price rarely reflects its quality. You can drink rosé any time of year. And don't save a great bottle for anything more than a rainy day. There’s really nothing new in this book that hasn’t been written elsewhere. Plus, there’s a strong, unfair bias against large volume produced wines, and a preference toward small production wines made from lesser-known varieties. We should all except the fact that each individual has her/his own personal palate preference. Some are happy drinking the rainbow, while others are just as happy drinking a $7 grocery store Chardonnay on a daily basis. Good guide, good narration, mostly good writing style but not too memorable. Doesn't justify its price tag. But there are a few interesting points to think about.